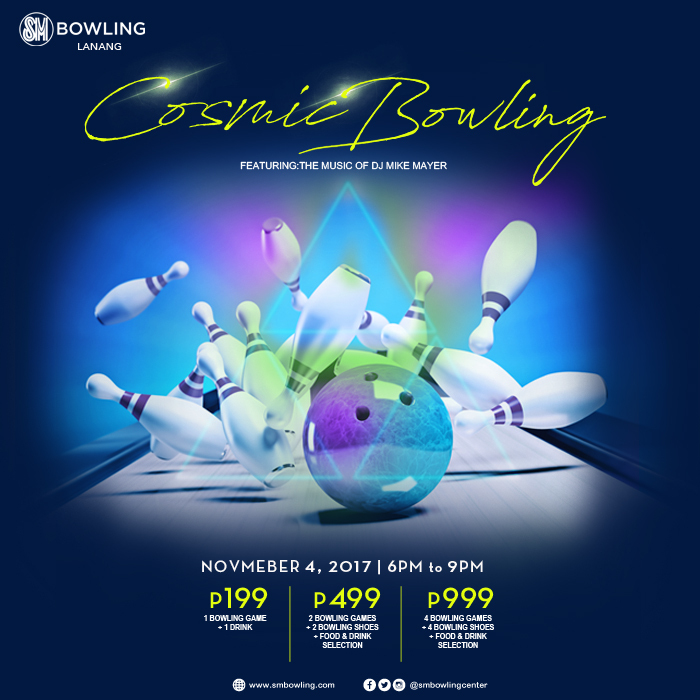 Step into the future and go Cosmic Bowling in the SM Bowling Center in SM Lanang Premier this Saturday. 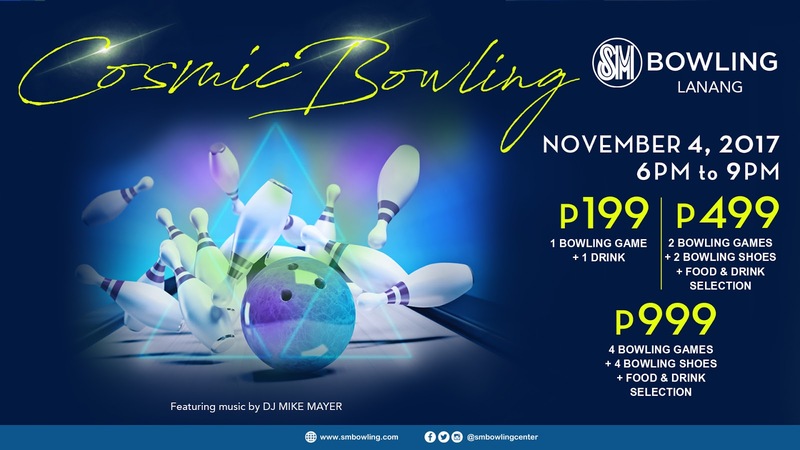 Enjoy this glow-in-the-dark themed bowling event, bask in various spectra of light and move to the sounds of DJ Mike Mayer. 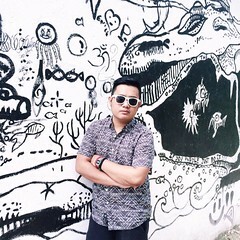 For more information, call SM Bowling Center in SM Lanang Premier at 285-4428.